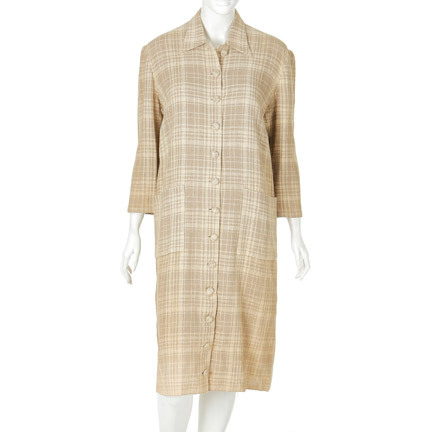 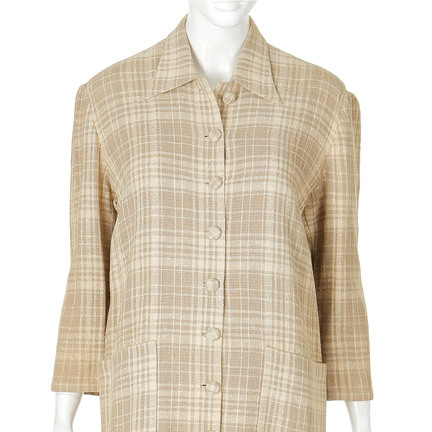 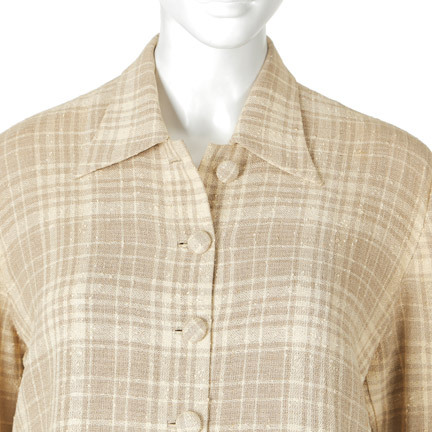 This vintage coat, was likely worn by Katherine Hepburn and features two Paramount studio label with “K. 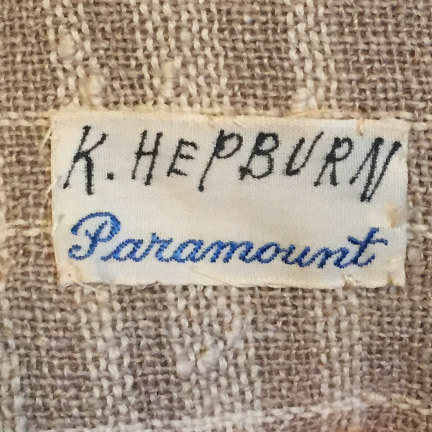 Hepburn” on it. 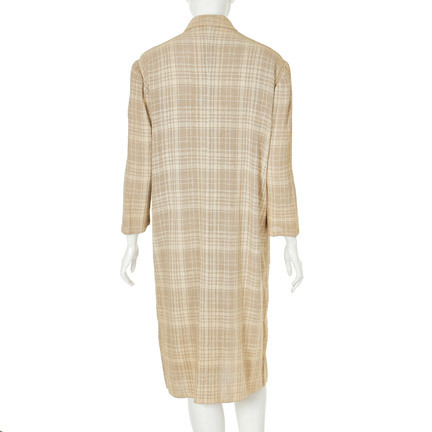 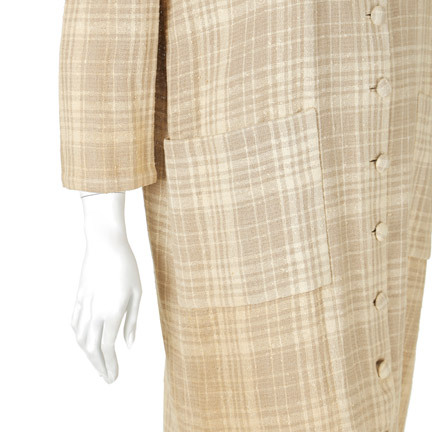 The garment itself is a tan and cream plaid linen long coat with pointed collar, two large pouch pockets, and thirteen self-covered buttons down the front. 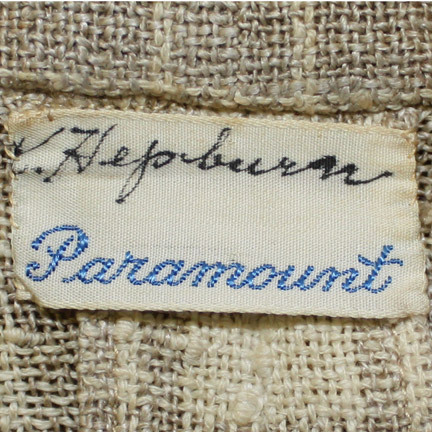 Eastern Costume Company acquired one of Paramount Studio’s wardrobe department annex buildings in the late 1980’s. 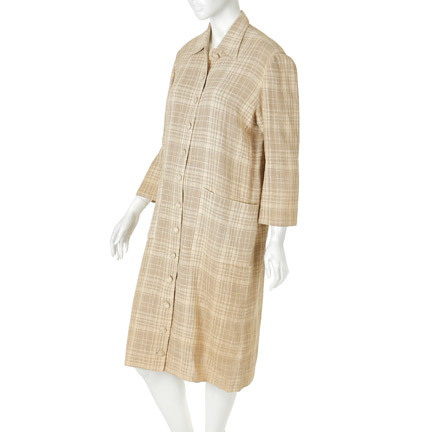 Amongst the large collection was this linen coat and it is in excellent vintage condition and includes a certificate of authenticity from the costume house.